Every year for Christmas, we go to my husband’s parents’ house for Christmas brunch, which is perfect, because we have time to open our gifts in the morning and spend time as a family before the craziness of Christmas starts. 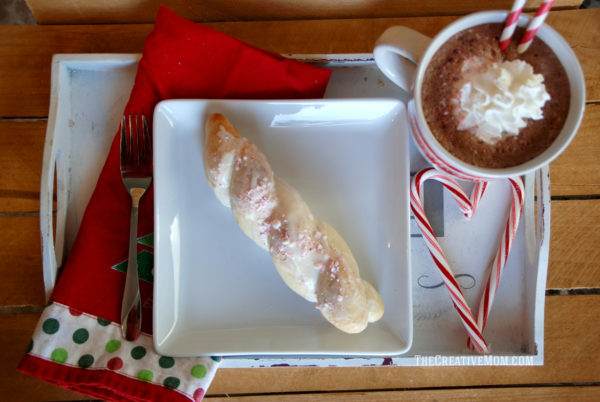 So, I’ve started the tradition of doing something really simple and easy for Christmas breakfast. 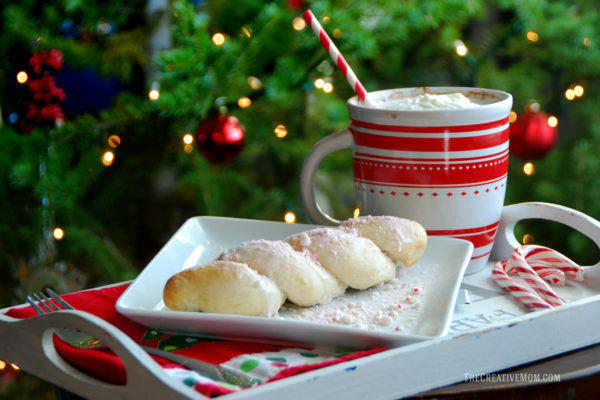 Because honestly, I usually stay up WAY too late on Christmas Eve, making sure everything is pretty and perfect for when the kids wake up… and I don’t want to spend my Christmas morning slaving away in the kitchen. I just need something quick and easy, that is special too. 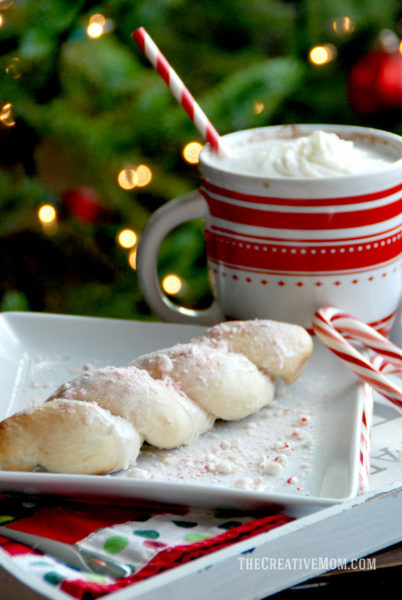 So this year, we are having these Peppermint Twists for Christmas breakfast. They are made from Rhodes Bake-n-Serv dough, so from the freezer to the table, they take about 45 minutes. And most of that time is unsupervised baking. So I can spend Christmas morning watching my kids’ eyes light up when they open gifts instead of kneading and raising dough. I shared this recipe over on the Rhodes Blog. So click over and check out the FULL RECIPE.